As the world recovered from the military and psychological carnage and social transformations brought on by the First World War, the Russian Revolution, and the 1918-1920 influenza pandemic, opposition to animal experimentation had shrunk to a barely perceptible concern. Compared to its prominence in Victorian and Edwardian times, debates and controversies regarding vivisection had dropped down a notch in philosophical and political discourse. Antivivisectionist protests were viewed as outmoded, particularly as their general stance with regard to science also unfortunately included a strong opposition to vaccination. Scientists and doctors were in the process of formulating and applying vaccines against diseases such as typhoid fever and tetanus (antitoxin), and developing penicillin and sulfa drugs, the first antibiotic agents [6,7,23,24], as well as treatment for metabolic diseases such as diabetes (largely based on the vivisections carried out in London by Ernest Starling and William Bayliss to study pancreatic secretions in dogs.) No longer solely in the realm of hit-or-miss exploratory physiology, medical experimentation on animals was emerging as a viable source of specific and applicable knowledge for human health. By the early 1920s, most of the major antivivisection society leaders had passed away, perhaps leaving a dearth of continuity in the post-Great War generation of opponents to vivisection. Popular political support for antivivisectionism had also faded by this time; women suffragists and the non-landed classes had obtained the vote in most English-speaking countries, and workers and trade unionists continued their struggles against capitalism through massive strikes, and later had to deal with the massive economic downturn and unemployment of the Great Depression. At any rate, workers and suffragists no longer linked their struggles against the political establishment to the animal victims of the scientific establishment, as they had in the early 1900s. The once-powerful symbolism provided by the Brown Dog statue was no longer useful to political movements for human solidarity and equality. There is also evidence of direct government intervention on behalf of science against the claims of antivivisectionists, at least in the United States . Medical science tended to receive uniformly positive press, emphasizing the very real possibility of improving public health and living conditions for everyone, and downplaying the specifics of research methods. Nevertheless, there remained a quiet concern for the animals used in experiments, and although popular support had faded, many individuals and small organizations were still convinced that animals should not be used in painful, unnecessary and overly invasive experiments. A connection between feminism (the political movement for female equality that went beyond suffragism, or the simple right to vote) and animal causes was pursued by some of the most committed antivivisectionists. Two of the most prominent and longstanding opponents of animal experimentation throughout the greater part of the 20th century were the Americans Alice Morgan Wright (1881-1975) and Edith Goode (1882-1970), aka “Misses Right and Good” . Both women emerged from the women’s suffragist movement of the early 20th century and Wright was personally acquainted with Lind-af-Hageby of Brown Dog notoriety. After women obtained the vote in the United States and England in 1920 and 1928, respectively, Wright and Goode continued to militate in feminist coalitions and the National Women’s Party. They were also active in their local community and travelled extensively. When the United States entered the Second World War, they upgraded their activity to promoting women’s rights internationally, and this ultimately led to their involvement with the United Nations in the late 1940s. What is particularly interesting about Wright and Goode’s activism is that they were the ones to officially submit a proposal that animals, as non-humans members of society, should benefit from protection for their own sake – particularly the companion animals that live within society and are profoundly affected by it . Equally significant was the fact that their plea on behalf of animals explicitly linked animal concerns with pacifism and nascent environmentalism [26,27], issues that would later appear under the umbrella of ecofeminism. In the same vein as earlier opponents of animal experimentation, Wright and Goode firmly believed that deliberate cruelty to animals was only a few degrees in difference from cruelty to humans. In the context of the immediate post-Second World War years and the generalised shock following the liberation of concentration camps by Soviet and American forces, and later by the torrent of individual accounts of the Holocaust, their proposal was both highly charged and impossible to face head-on, especially in view of the very real changes brought by advances in medical science and technology that were rapidly changing people’s lives. Twenty doctors were tried at Nuremburg for human experimentation and four were hanged, but the vast majority of the doctors and physiologists involved in the atrocities were allowed to return to their university posts or medical practices, or simply escaped prosecution, such as Dr Josef Mengele (1911-1979) [ [6 (p.659)]. Human experimentation during the Second World War was not limited to Nazi Germany; it was also carried out in Pingfan, China and on American, British and other prisoners-of-war, under the direction of the Japanese doctor Shiro Ishii (1892-1959). Upon Japan’s surrender to the United States, the information from these (massive) experiments was traded to American authorities in exchange for immunity from prosecution [6 (p.650), 29]. Faced with the overwhelming number of accounts of human experimentation and other atrocities from the Second World War, one of the reactions in those postwar years was to form an international ethical movement for medicine. The Nuremburg code consisted of 10 points for ethical guidance. The first and most crucial one for future clinical trials was: “The voluntary consent of the subject is essential.” This notion was later expanded to informed consent, which has become a standard procedure in clinical trials of pharmaceuticals around the world. Of course, consent cannot be directly addressed in animal experimentation. This obvious difference between the human and animal experience brings us back around to the starting point of the philosophical debate on the role of animals in human civilization, i.e. if and how they should be used, and for what purposes. Animal welfare and protection had been promoted and organized for nearly a century in England and the United States. By the mid-20th century, the time was ripe for the concept of animal rights to be formulated. In addition to the Nuremburg trials, the immediate postwar years also witnessed the formation of the United Nations. Alice Morgan Wright was a delegate to the 1948 United Nations Assembly in Paris. In her reports to various organizations, she pointed to the small numbers of women delegates, and questioned the relevance of enlisting men trained by wartime experience and strategy to undertake peace-building functions. In later reports from Wright and Goode to the Congress of the World Federation for the Protection of Animals in May of 1958, they state: “We believed that there should be a Declaration also of the rights of animals, involved as animals are in the welfare of human society.” But they were instead disappointed to find that the United Nations had already “washed its hands” of any responsibility for animals . Though they may have been discouraged by this lack of interest on the part of the newly established international community, Wright and Goode continued to lobby for political change in the United States. For example, their political lobbying was instrumental in obtaining the passage of the first United States legislation on humane slaughter that was finally passed in 1958. However, in light of their own empathetic attitude to all species, their vegetarian lifestyle and their more exalted aims for animal rights and citizenship, this may have appeared to them as a tiny victory in the midst of a massive, perpetual war. The Cold War years of the 1950s and 1960s were ones in which animals were extensively used in atomic, nuclear and other weapons testing and space programs, in addition to the rapidly expanding fields of pharmacology, genetics, oncology, cosmetics, toxicology, nutrition, psychology and many more [28-30]. In contrast to the more raw and publicly accessible demonstrations of vivisection in the earlier period, the postwar years were ones in which the construction of secure laboratories and research centres, the “classified” nature and purpose of Cold War experimentation, and the type and variety of species used (from mice to primates) shielded the public from much of the direct and specific information on how animals were used and the nature of the suffering and constraints to which they were subjected. To use a well-known example, the Russian dog Laïka (“Barker”) was the first living being to orbit the Earth in 1957 [31,32]. Her launch into orbit was a very well-publicized event, and her name was common knowledge all around the world. However, it was not until declassification in the 1990s that we learned more about the little dog’s fate . In the first hours after the launch, Laïka died of overheating and severe stress. This outcome may not have been predicted by Soviet space engineers, but they did know that she would not return at any point, and had thus been provided with only a 10-days’ supply of food. It may be hard for us today to understand that the media and the general public were not asking pointed questions about the dog’s fate, but in that era, the amazing technological exploit of the orbit, its political implications for the Cold War and the imaginative aspects it raised easily dwarfed concerns about a single dog. Information on various other animal experiments filtered out at times, spun into ways that highlighted technological progress and the wonders of “science”, even at times acknowledging the “selfless contribution” of animals to human endeavours . However, decades would pass before declassification would release officially reliable and specific information. Much information on animal experimentation in both medicine and technology during those years is now readily available but its impact is muted mainly due to the passage of time and other more current concerns. Legislative efforts during the Cold War years focused on protocol and guideline development and attempts to curb obvious excesses or gratuitous cruelty, in experimentation and in society. Antivivisectionism continued to be popularly portrayed as a marginal, kooky type of activism. At worst, it may have been perceived, in much the same way as Rachel Carson’s Silent Spring attack on indiscriminate pesticide use, as radical, subversive and unpatriotic . By the mid-20th century, religion no longer appeared to provide any significant source of concern for the animal condition . However, it can be argued that consideration for animals remained alive, though just barely, in humanist philosophy. 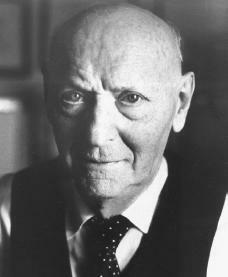 The type of thinking that explores human motivation and non-religious morality is evident in the works of Isaac Bashevis Singer (1902-1991). A Nobel Prize-winning, Polish-born American author who wrote mainly in the Yiddish language, Bashevis Singer was one of the most influential and popular writers in the important Yiddish literary movement of the last half of the 20th century. He fled Poland to the United States in 1935 in the face of encroaching fascism, and was published widely in Yiddish literary newspapers by the 1940s. After receiving the Nobel Prize in 1978, his status became monumental; his readership, which had previously been mainly the Jewish diaspora, became universal [35,36]. 1. Sechzer JA. The Ethical Dilemma of Some Classical Animal Experiments. Annals of the New York Academy of Sciences, Vol. 406, June 20, 1983. The Role of Animals in Biomedical Research. 2. Rivers Singleton, Jr. Whither Goest Vivisection? Historical and Philosophical Perspectives. Perspectives in Biology and Medicine, 37(4), Summer 1994; pp.576-594. 4. Gordon-Taylor G. Sir Charles Bell: His Life and Times. E. and S. Livingston, Ltd. Edinburgh and London, 1958; pp.109-112. 6. Porter R. The Greatest Benefit to Mankind: A Medical History of Humanity. W.W. Norton & Company, New York, United States: 1998; p. 338. 7. Tacium Ladry D. Searching for the Magic Bullet: Veterinary Experiences with the First Antibiotic. Veterinary Heritage, Vol. 25(1), May 2002; pp.1-6. 9. Preece R. Darwinism, Christianity and the Great Vivisection Debate. Journal of the History of Ideas, 2003 Jul;64(3):399-419. 10. Connor JTH. Cruel Knives? Vivisection and Biomedical Research in Victorian English Canada. Canadian Bulletin of Medical History, vol. 14: 1997;pp.37-64. 11. Nelson H. Experiments with the Sulphuric Ether Vapour. British American Journal of Medical & Physical Science, 3 (1847-1848):pp.34-36. 12. Martineau JC. A Historical Survey of Vivisection from Antiquity to the Present. Veterinary Heritage, vol 19(1); pp. 8-10. 13. Dawson PM. A Biography of François Magendie. Albert T. Huntington: New York, United States: 1908. 19. Bittel C. Science, Suffrage, and Experimentation: Mary Putnam Jacobi and the Controversy over Vivisection in late Nineteenth-century America. Bulletin of the History of Medicine, 2005 79:664-694. 20. Lansbury C. The Old Brown Dog: Women, Workers and Vivisection in Edwardian England. Madison: University of Wisconsin Press; 1985. 21. Birke L. Supporting the underdog: feminism, animal rights and citizenship in the work of Alice Morgan Wright and Edith Goode. Women’s History Review, 9:4; pp.693-719. 25. Wright, AM. Report for the Humane Society of the United States; reprinted in Voice of the Voiceless, April, 1963. 26. Wright, AM. Report to Congress, World Federation for the Protection of Animals, May 20, 1958. 27. Report to the United Nations from Alice Morgan Wright, 1948. 33. Lytle, Mark Hamilton. The Gentle Subversive: Rachel Carson, Silent Spring, and the Rise of the Environmental Movement. Oxford University Press, Inc.: Oxford, UK; 2007. 34. Singer, Peter (ed). In Defense of Animals: The Second Wave. Blackwell Publishing Ltd, USA: 2006. 36. Singer IB, Johnson H. The Collected Stories of Isaac Bashevis Singer. Farrar, Strauss and Giroux: United States; 1983.